It's truly a different experience. 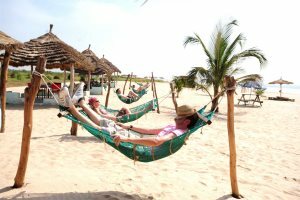 The Gambia is not simply a wintersun destination; early summer offers temperatures far in excess of those in the Mediterranean and the climate remains dry until well into June. As summer progresses, local crops benefit from short, sharp bursts of rain which are soon replaced by blue skies and sunshine - and value for money in mid-summer certainly rivals many popular, more traditional destinations. The rains bring tremendous colours - lush greens and spectacular flowers that are only around for a short time. There's also the hundreds of thousands of breeding butterflies that seems to light up the very air. And did we mention that the beaches are almost deserted, meaning you feel like you have the place to yourself? Throughout the summer the average temperature is 30ºC and the climate in May and June is very similar to that in winter. From July to October the humidity is higher as the tropical sun is punctuated by short but spectacular rain storms. However, we have found that much of the rain occurs at night, and has not detracted from our customers' enjoyment of their holiday. October is noticeably busier drawing into the popular winter season. From mid summer, the flora and fauna comes alive with the landscape transformed into a lush green paradise. 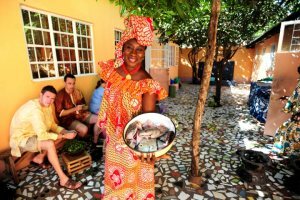 Our excursion programme operates year round giving the opportunity to get out and about, meet the locals and experience the fascinating culture first hand. The resort areas tend to be quieter than the winter as some of the restaurants will close for part of the summer. The hotels are quieter during the summer, perhaps with less activities or entertainment. Some hotels will close so although there are fewer tourists than during the winter they are spread across a smaller number of hotels. The hotels may also revert to menu selections instead of buffets and with more staff, provide a high service level.